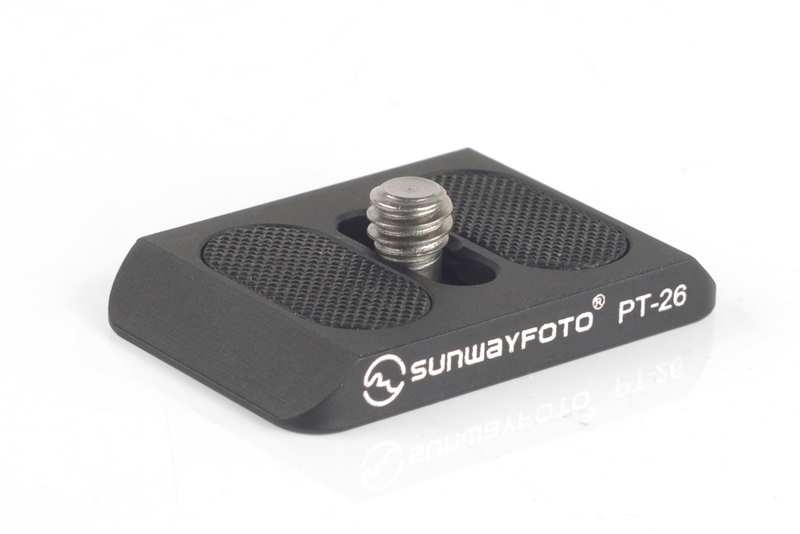 Announced just before the end of 2013, the new ultra slim and lightweight Sunwayfoto PT-26 Universal Quick Release plate, was released yesterday. This very slim, only 5.5 mm (~0.22") thick Arca-Swiss® compatible plate is intended for P&S and/or Mirrorless digital cameras with a small footprint. However, according to my information this universal plate is the pilot for a whole new series of slimline quick release plates to be released soon by Sunwayfoto. 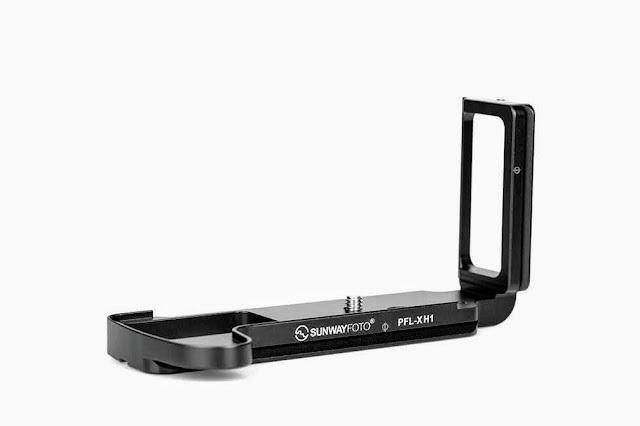 Sunwayfoto is a pioneer in the field of weight reduction of photographic support gear, as their engineers have proved many times in the past with surprisingly lightweight panning or conventional QR clamps, ball heads and other accessories. The PT-26 is just 0.5 mm thicker than a common Arca style dovetail, adding the less possible bulk under a compact camera. 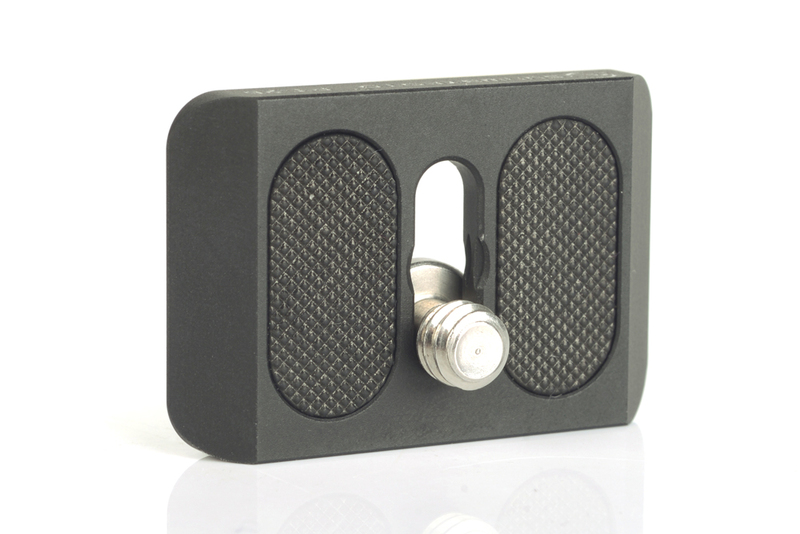 Like all Sunwayfoto products, it is precisely CNC machined from one-piece of Aircraft grade aluminium block and then hard coat anodized in satin black color. 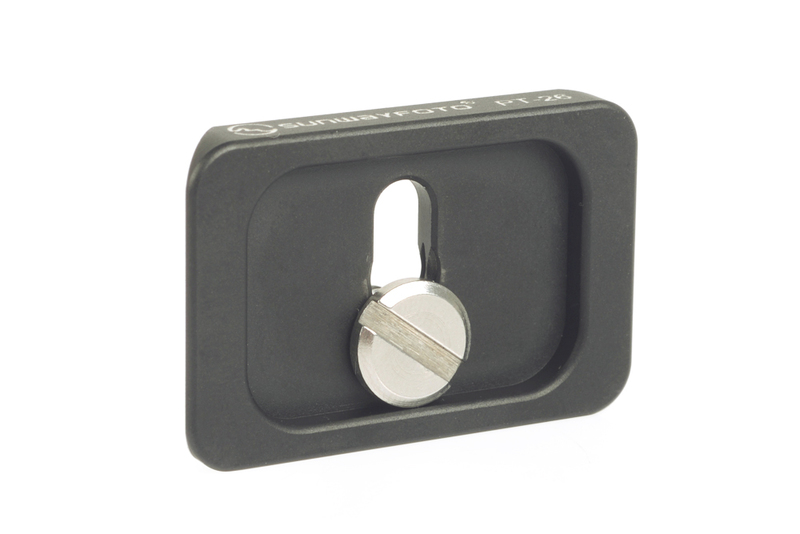 Two rubber mats at either side of the mounting-screw captive slot prevent it from twisting and protect the camera base. The bottom side is hollowed out leaving a thin contact surface for weight decrease. The usual hex socket screw found on other Sunwayfoto plates is replaced by a flatter and lighter screw with a coin or key slot in order to maintain the total weight below 10 gr (0.35 oz). The PT-26 is just 0.5 mm thicker than a common Arca style dovetail, adding the less possible bulk under a compact mirrorless camera, like the Nikon J1 in the illustration above. The mounting screw slot permits some adjustment in order to keep the battery/memory door accessible. Current price for the new PT-26 Plate is US$ 14.00 (+shipping where applicable) and it is now available from Amazon or from eBay internationally. 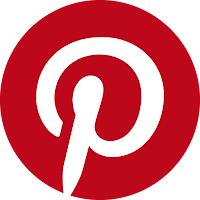 At the end of the article the product is written as TP-26. Another funny thing is that it can not be found at the sunwayfoto site yet, but is already been sold at amazon. Hi, you are welcome and thank you for the comment. I'm sorry, there was a misspelling at the end, the model is PT-26 as mentioned in other instances in the article.